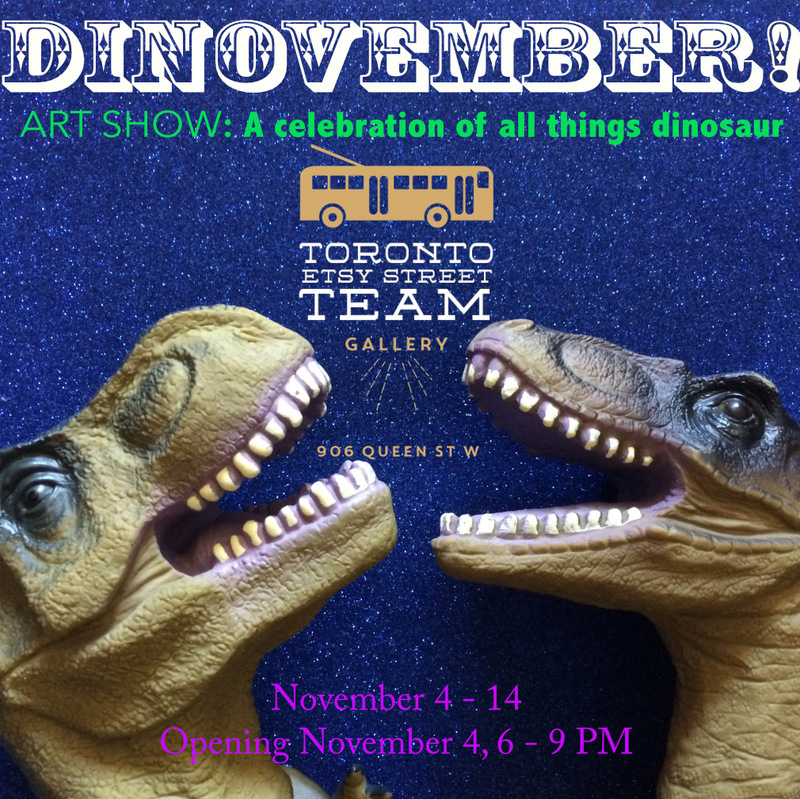 Toronto Etsy Street Team: Dinovember Art Show - Celebrating all things dinosaur! Dinovember Art Show - Celebrating all things dinosaur! COMING THIS NOVEMBER.... It's DINOVEMBER! The Toronto Etsy Street Team gallery is hosting a group art celebrating all things dinosaurs! This exhibition will feature art in all media and handcrafted items about everyone's favourite extinct behemoths*, the dinosaurs! For Dinovember we are seeking dinosaur items from imaginative artworks to scientific illustrations to handmade toys and other goods. Other non-dinosaur Mesozoic creatures are also welcome! We love flying and marine reptiles, prehistoric fish and more. *Diminuative dinosaurs are also welcome. This is a juried show. We will be seeking completed ready to hang artworks and craft of all media. Artists will be charged a hanging fee of $50. 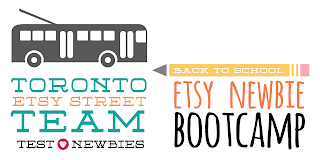 The Toronto Etsy Street Team will retain a 10% fee to cover any processing fees of any sales and then all proceeds of art sales will go directly to the artist. Artists set their own prices. We especially encourage members of the Toronto Etsy Street Team to apply but the application is open to all artists and makers. Etsy: Made in Canada Toronto 2017 maps! 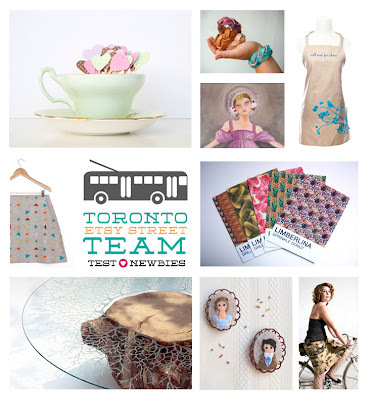 Etsy: Made in Canada - WORKSHOPS ARE HERE!